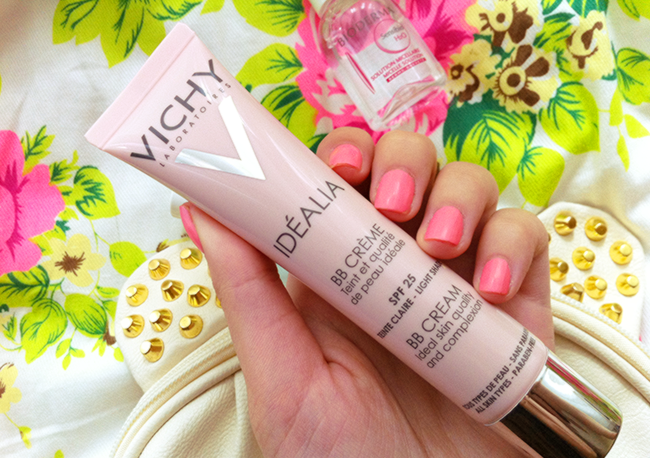 I was excited to review one of Vichy's newest products, the Idealia BB cream. Once I unpacked it, I really liked the pink minimalistic container, this might sound very cliché, but I'm always paying a lot of attention to the packaging. Anyways, once I tried the product, I really liked it! Once applied, it seems like the color fades away, but there's still good amount of coverage. That is so great, because I hate the artificial color on face that some powders/etc. gives. The product is light, glides on very nicely and leaves the skin incredibly soft. I kid you not, it stays so smooth! My face stays glowing throughout the day, not like a bad shine, but a really nice glow. Idealia BB cream also has spf25 in it, which makes it even more perfect for summer! I also got a couple samples of Bioderma facial cleansers. It was something that I've been looking for recently, so I was happy when I saw these packed along with the BB cream. They are really great for makeup removing, and I also feel that they have cleared my skin a little, yay for that! 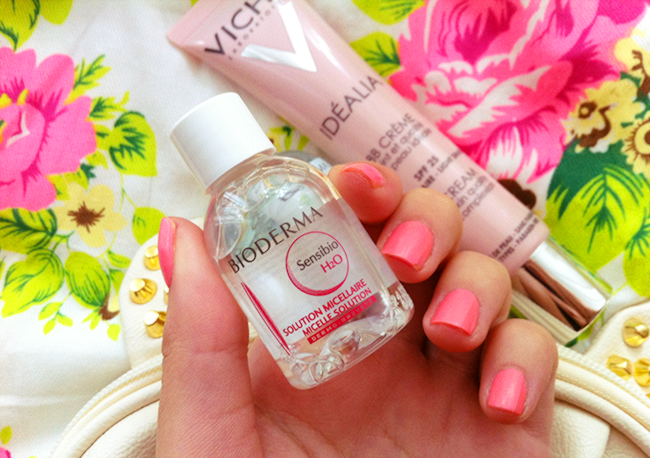 I'll probably get one in full size, especially that throughout June Bioderma products are 1/3 off at Escentual! I love this brand.... I want to try it!! Thanks for this interesting review!